Facebook being one of the most used and visited website on earth, surely does attract the eyes of hackers. Many are effected by SPAM, SCAMS but some people fall prey to phishers which may sometimes lead to loss of facebook account control. 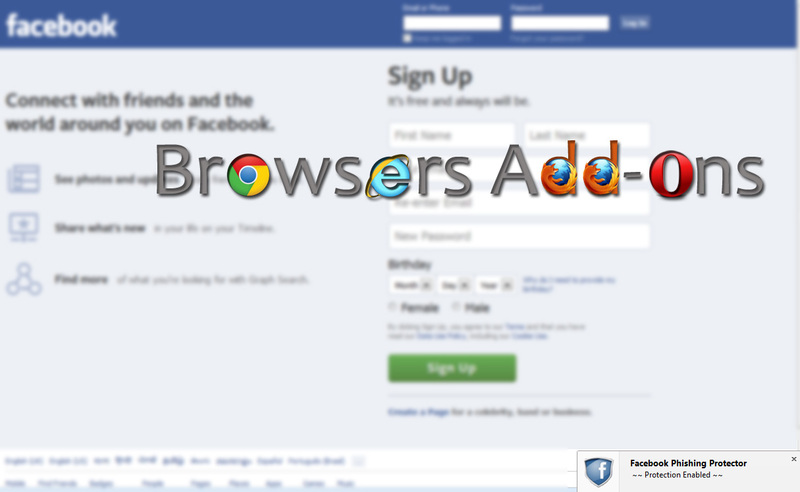 To avoid phishing, an independent developer Diego Casorran has come up with FB Phishing Protector addon (extension) for Mozilla Firefox. The latest version includes protection from tracking. 1. 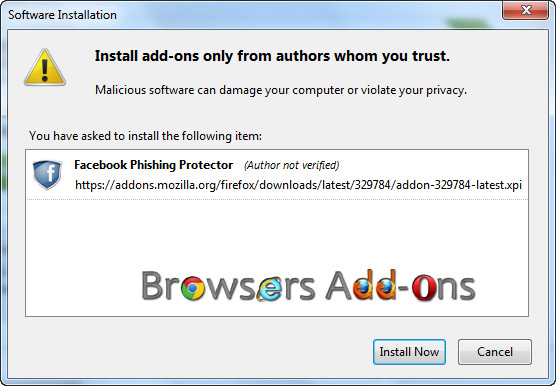 Go to FB Phishing Protector Mozilla addon page, or simply click on the above download link and click on “Add to Firefox“. 3. 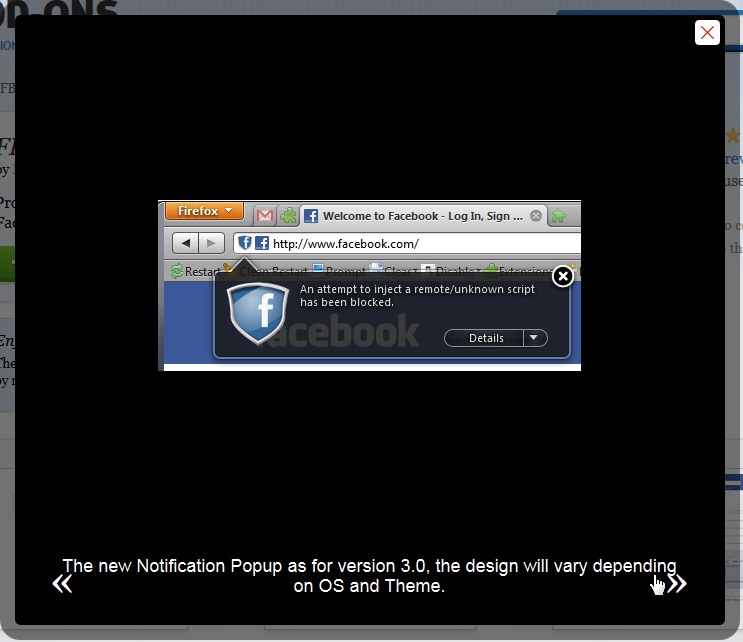 FB Phishing Protector installation box pops-up. Click “Install” to continue installing addon, “Cancel” to abort installation. 4. 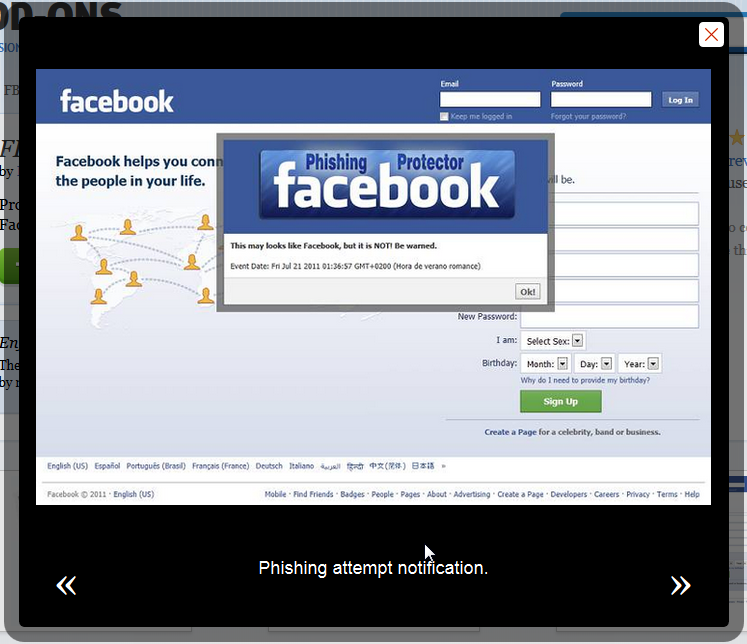 FB Phishing Protector pops up when ever you start browser or open facebook page. 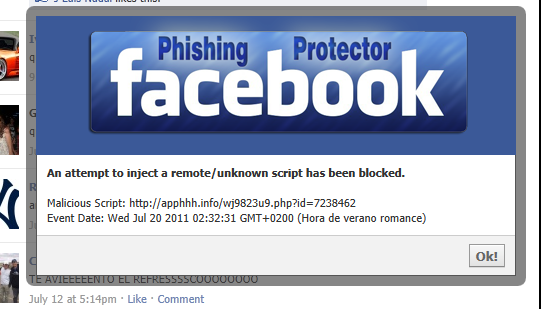 I couldn’t test any phishing or spam (scam) stuff as I don’t use much of facebook. So, when ever you land on any phishing page or click on scam stuff you will be notified like this. NOTE: This addon doesn’t require restart for the actions to take effect. Next story Find out who is tracking you in real-time with Collusion, addon for Mozilla Firefox. 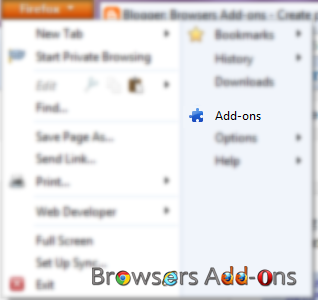 Previous story Stop Cookies invasion with Self-Destructing Cookies add-on for Mozilla Firefox.